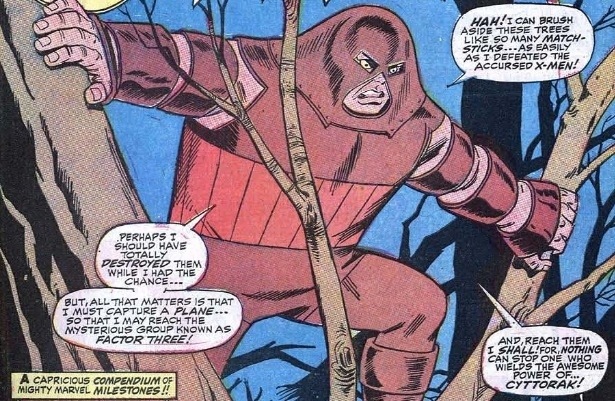 Issue 33 picks up with Juggernaut trampling through a forest, on his way to an airbase. He is trying to steal a flight to Europe, so that he can meet up with his new friends, the mysterious Factor Three. Another Marvel hero makes his first X-Men appearance, and we learn more about the mysterious Cyttorak demon.